This route is new for 2019! The first 30 miles follow the route of the traditional Tour of the Unknown Coast century. 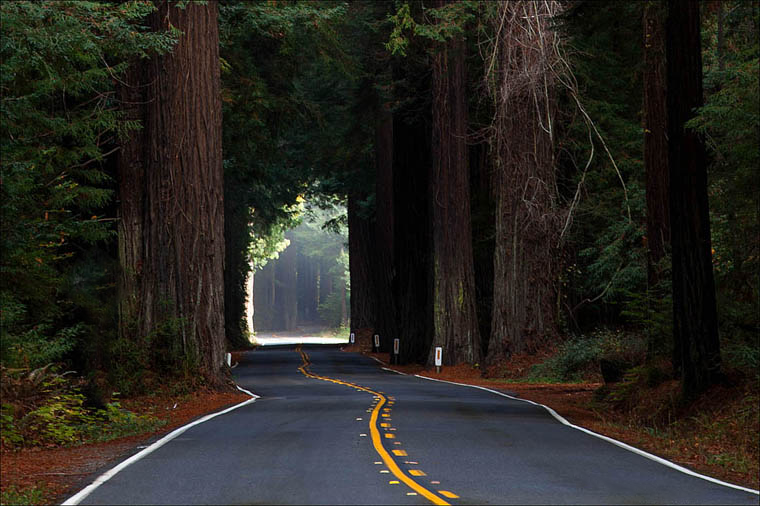 At the fork in Dyerville, take the left fork and go over the bridge; riders stay on the smooth pavement of the Avenue of the Giants and meander through the big trees along the South Fork of the Eel River to the turnaround point just beyond Phillipsville. Although this route has less climbing than the Tour of the Unknown Coast, it is definitely not flat! Riders will feel challenged by approximately 5000 feet of climbing over the course of the day. Avenue of the Giants Century riders are encouraged to set off before the 7 am mass start if necessary in order to finish in time to enjoy the post ride festivities. The post ride meal will be served until 5 pm. Riders not on pace to finish by 7 pm will be sagged forward.